German Luxury car maker Audi India on Thursday said it was going to launch three new models in India this year, including the most luxurious Q 8 from its global product stable first time ever. All in the Rs 1 crore-plus price range, the new models would be launched primarily for positioning of the brand as the company was not expecting any big sales owing to high taxes being levied on luxury cars in the country, according to Audi India head Rahil Ansari. "Owning a luxury car is not a sin and in fact the sale of more luxury cars will bring in more tax revenues to the government. That can happen only if the luxury car category was brought into 18 percent tax slab from the present 28 percent level," Ansari said on the sidelines of the company's new showroom here. 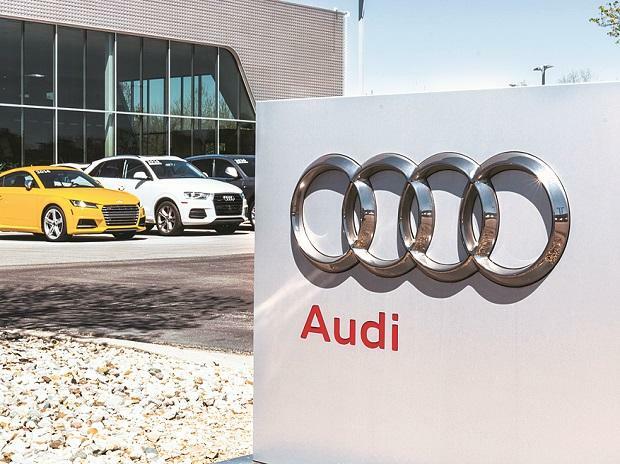 Entered the Indian market in 2007, Audi currently sells 14 models, both sedans and SUVs while 95 percent of the sales volume, which stood at around 6,500 units last year, are assembled at its Aurangabad plant. The company reached the number one position in 2013-14 in terms of market share in luxury car segments and then subsequently slipped to third position with Mercedes Benz and BMW taking the two slow slots. Audi India head said that besides reinforcing the brand positioning by adding new variants and the top-end products to the existing lineup, they would also take steps to improve the customer experience in terms of sale after sale service across its network of 83 touch touch points in 37 cities. The company is not expecting any sales growth this year. According to Ansari, the luxury car market in India is expected to move in favour of petrol and electric vehicles in future. The company is planning to bring e-tron, which was launched last year in a potential competition to American EV company Tesla's electric car, to Indian shores in 2020.